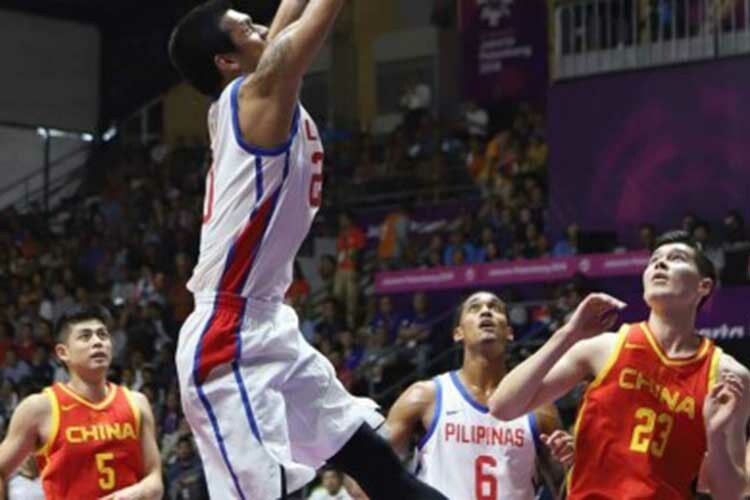 MANILA — Gilas Pilipinas came alive in the last quarter but fell short and eventually bowed to China, 80-82, in a classic encounter in the Asian Games men’s basketball competition at the GBK Gymnasium in Jakarta on Tuesday night. Despite his endgame heroics, Stanley Pringle committed a huge turnover that sparked China’s own comeback bid as Jordan Clarkson’s impressive debut with Gilas went down the drain. Clarkson began to sizzle in the second half, but it was Pringle who came close to finishing the job as he led Gilas’ fourth quarter barrage that put the team ahead, 80-78, with under two minutes to play. Pringle, however, lost the ball to Zhao Rui, who went all the way for the layup that tied the game at 80-all. China then made another defensive stop, and Rui sank two free throws off a Clarkson foul that put the team up, 82-80, with 45 seconds left. Paul Lee had one last crack for Gilas, but his three-pointer rimmed out. Zhou Qi tallied 25 points, 12 rebounds, and seven blocks for China, which can lock in the top seed in Group D with a win against Kazakhstan. Clarkson put up 28 points, eight rebounds, and four assists for Gilas, which still has a good chance of going through the next round if they win their next games. China (82) — Zhou 25, Wang 13, Abudurexiti 12, Zhao 11, Ding 7, Sun 6, Liu 5, Fang 2, Dong 1. PH (80)— Clarkson 28, Standhardinger 18, Lee 10, Erram 6, Almazan 2, Belga 2, Norwood 0, Ahanmisi 0, Yap 0.